The recently re-elected Conservative MP for Crawley Henry Smith has made the first mention of Chagossians fight for justice in this Parliament. Speaking in a debate on the Britain in the World section of the Queen’s Speech debate, Mr Smith praises the Government’s commitment to existing British Overseas Territories and calls for the Government to “start to put right” the wrongs of Chagossians forced deportation and neglect in exile. time but we can start to right those wrongs. the British Indian Ocean Territory and I call on the Government to implement that study. homeland should they so wish. Our AGM is now confirmed for 13th June 2015. It will begin at 1.45PM at The Rising Sun bar in Victoria, London. Hope to see you there and then! UK Chagos Support Association would like to invite you to our Annual General Meeting on 13th June. The meeting will begin a 2:00PM and should be completed within 2 hours. Space is limited at the venue so please let us know if you want to come along. The venue will a function room at The Rising Sun pub, a 10 minute walk from Victoria station. Detailed directions are below. The meeting will be an opportunity to discuss what UK Chagos Support Association has done in the past year and plans to do in the next year. If there is anything you would like to discuss, please let us know and we may be able to add it to the formal agenda. Otherwise, feel free to come along and ask questions. As you may know, several committee members are resigning this year so please do consider standing for the committee. It is not necessarily a time-consuming role, rather committee members decide upon major spending decisions and the general direction of our work. If you have any questions about the role of the committee or anything else about the AGM, do ask at any point. Contact details are below. Hope to see you there! Victoria is the closest rail and underground station. 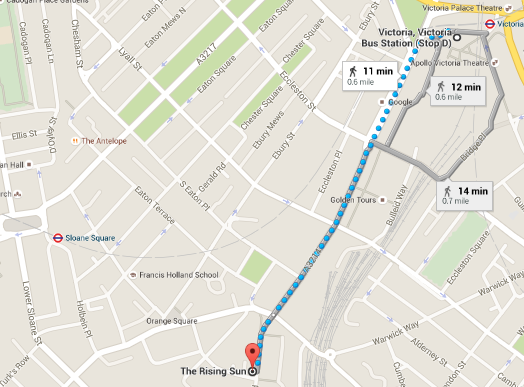 The Rising Sun is a 10 minute walk from Victoria Station. Walk straight up Buckingham Palace Bridge Road, then cross the road to continue onto Ebury Bridge Road. You should pass Victoria Place Shopping Centre and Victoria Coach Station on the way. The pub will be on the right side of the road. 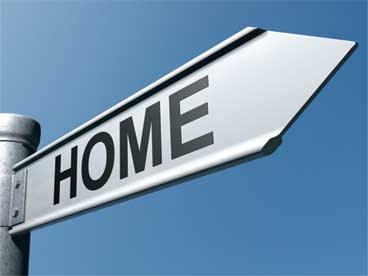 If you need help finding the place on the day, give us a ring on 07474385386.